Beautiful sky vector for your spring or summer designs. This colored cloud design is beautiful and soft. 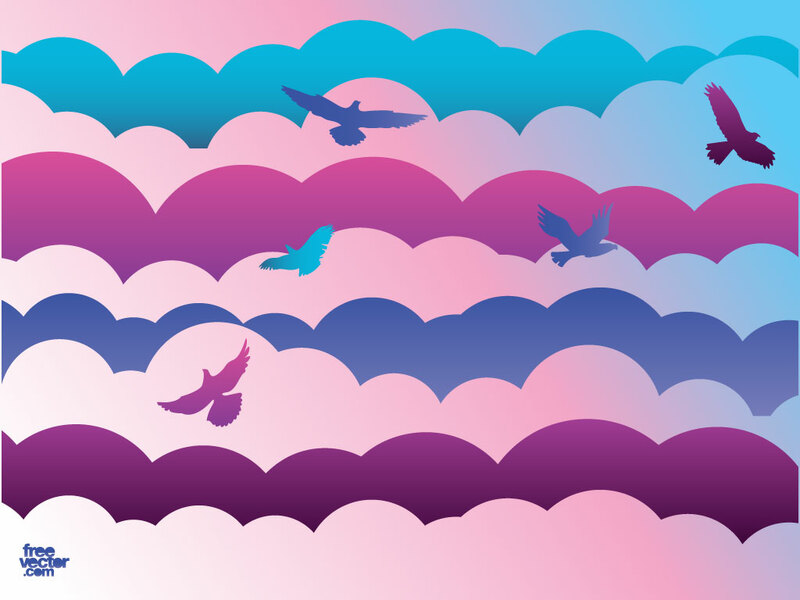 Birds soaring the clouds in this modern vector image. Great Illustrator stock footage to create dreamy invitations and greeting cards. Tags: Backdrop, Birds, Clouds, Fly, Freedom, Nature, Skies, Spring, Weather.